Angered Weinstein refused Rabbinate's request for external representation, High Court orders delay in proceedings for Rabbinate to consult. During a High Court hearing on Wednesday, judges sharply rebuked the Attorney General for not informing them that Israel's Chief Rabbinate seeks external representation in an upcoming case on Kashrut certification. As a result, the judges asserted, they were unpleasantly forced to hear of Rabbinate's decision via the media. Two Jerusalem restaurants are suing the State in the High Court for the right to call themselves kosher, despite the fact that their certificates were rescinded – and the Rabbinate has fined them. Attorney General Yehuda Weinstein backs the restaurants' petition, claiming it is possible for a food establishment to present itself as “kosher,” even if the supervising agent is not recognized by the Rabbinate. Weinstein thus rejected Ashkenazic Chief Rabbi David Lau's request to hire a private attorney to represent the Rabbinate's position during High Court discussions. On Wednesday, the High Court judges called for a postponement of proceedings, so that the Chief Rabbinate could have enough time to consult with its legal advisor for the case. 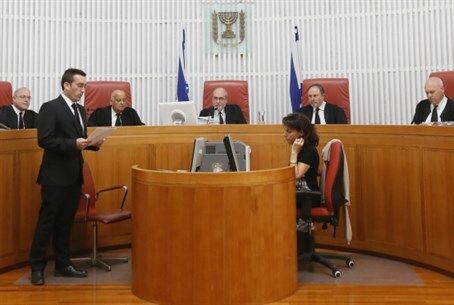 Director of the Religious Affairs Ministry, Elchanan Glatt welcomed the judges' decision, praising "the chance for different representation so that our stance can be rightfully heard in court."